Barcelona is a large city, with attractions ranging from the beachside to the mountains. Sagrada familia lies in the valley of Barcelona, while Park Guell is situated on the mountains overlooking said Sagrada familia. There is no way you could walk from one attractions to another in a day. So why waste your time walking between attractions and tiring out your kids when there is a better way to explore the city? Don’t tire your family out, book a Hop-on, Hop-off tour! We hope you enjoy our family hotel in Barcelona. 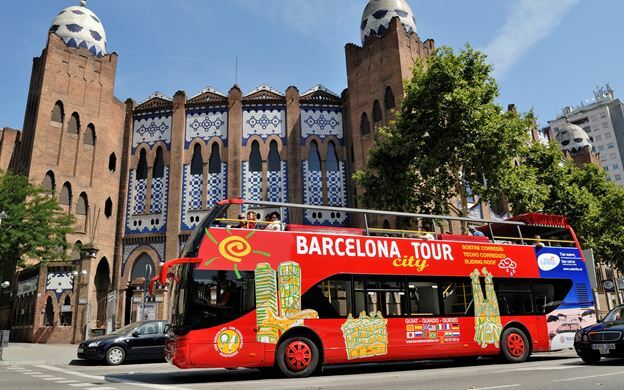 Now your family can stay on-board travelling to all of Barcelona’s destinations with the option of getting off to explore an attraction or two in more detail. They go through the main streets, so you’ll be able to explore Barcelona, while experiencing the culture and everyday life of the Barcelona people. Hop-on, Hop-off busses have over 30 stops for you and your family to explore from. The tour comes with an audio tour and an English-speaking guide aboard to inform you of the surrounding areas, allowing you to learn more about the city. The tour comes with a map so you can go explore the city on your own and never be lost! The buss even has Wi-Fi so your technology advanced kids can play while you see the city. When you book your ticket you have the option to have the buss for 1 or 2 days. The buss itself runs daily and all start at 9:00am. Though in November to April their last stop is 7pm, not 8pm. You will never have to wait for a bus too, because the bus comes to the stop every 7-20 minutes allowing you time to explore without any rush. 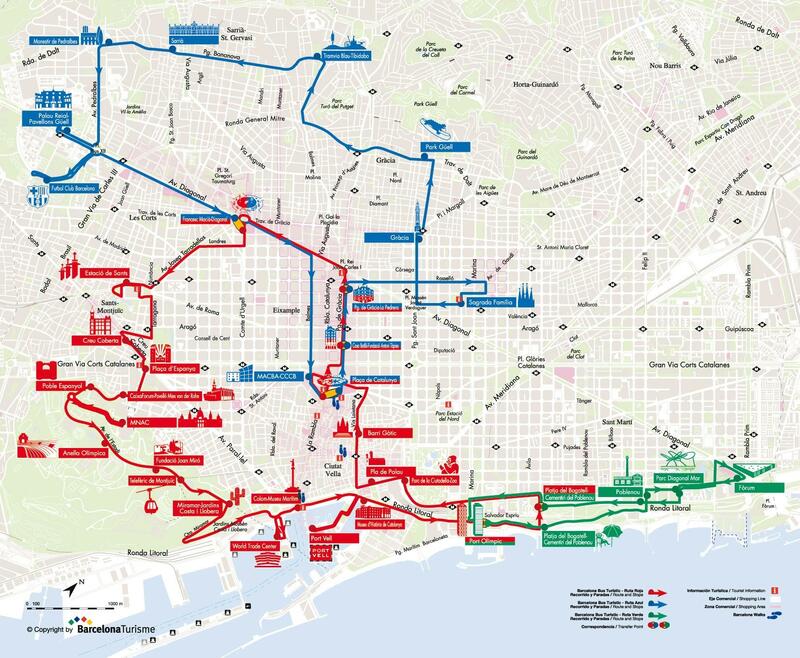 If you want to sit on board and relax while learning about Barcelona, one route takes 2 hours to complete and there are 2 routes if you wish to do them both. One is focused on Gaudi’s work the other is more beach focused. 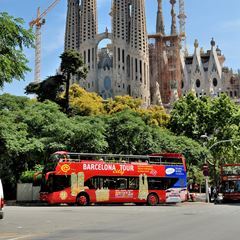 Enjoy Barcelona’s streets and attractions in comfort. Save time walking from place to place. You even get to learn more about Barcelona than the regular tourist thanks to your guide!